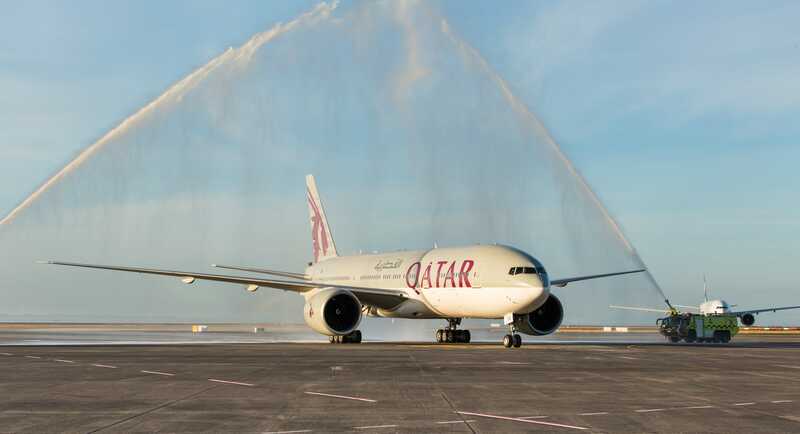 On Tuesday, Qatar Airways was crowned the Best Airline in the World by leading consumer aviation website Skytrax for the fourth time since 2011. Also taking top honors at the Skytrax World Airline Awards is the airline's stellar business class offering. 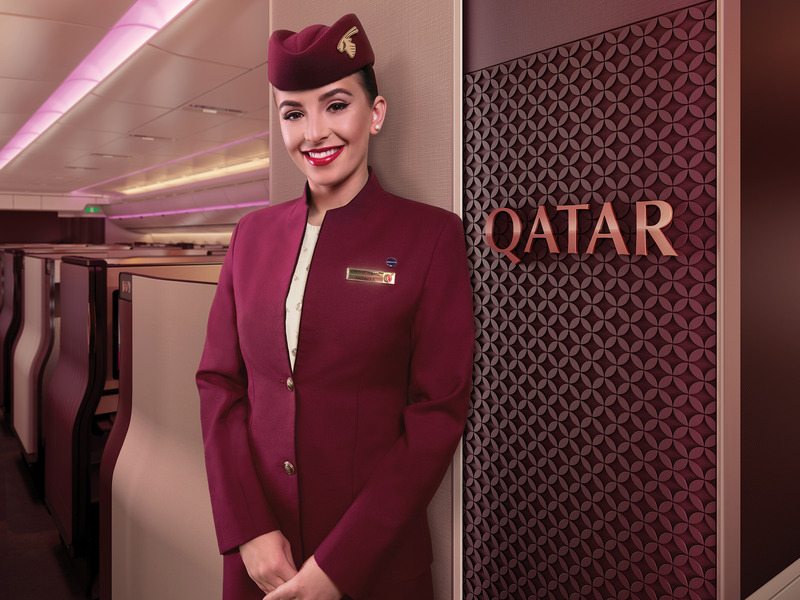 In fact, this is the second year in a row Qatar's business class has taken home the hardware. However, the airline isn't resting on its laurels. 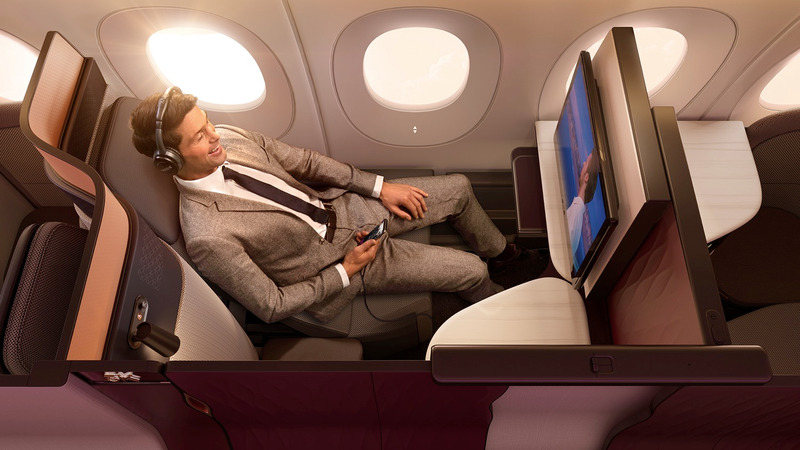 In March, Qatar Airways unveiled an all new business class product called the QSuite. 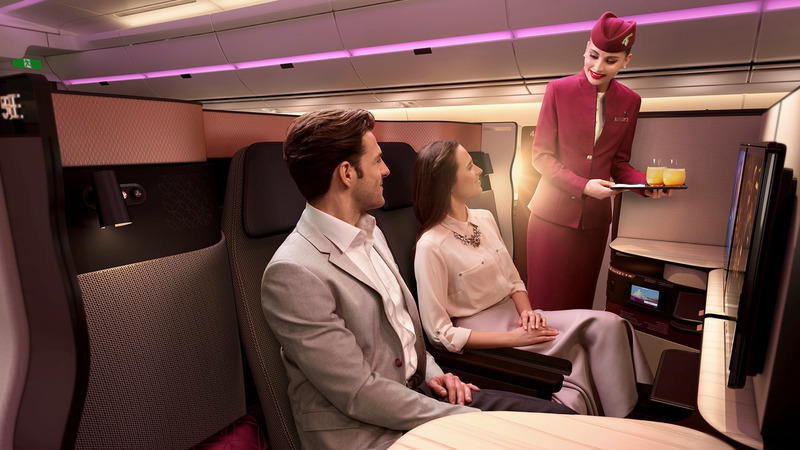 "I am proud to unveil the future of premium travel with our new QSuite Business Class," Qatar Airways Group CEO His Excellency Mr. Akbar Al Baker said in a statement at the time of the unveiling. "Our unique and patented design is a world first in many ways and challenges industry norms by offering passengers more privacy, more choice, and more personalization." 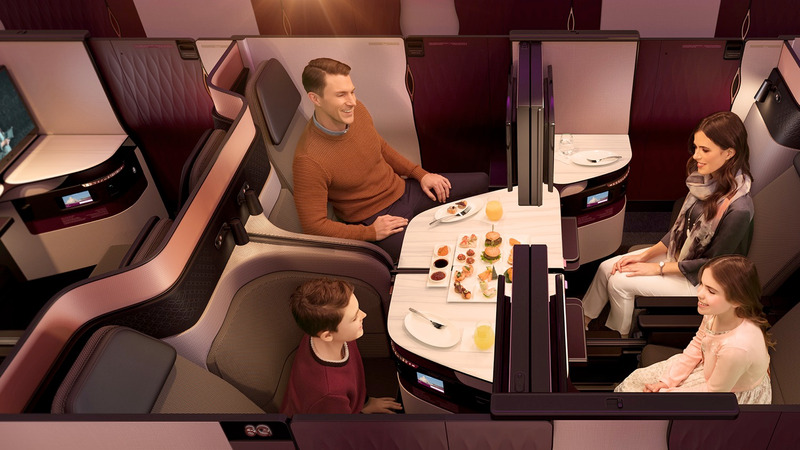 A few years ago, Qatar Airways made the decision to go to a two-class layout on all of its planes apart from its fleet of seven Airbus A380 superjumbos. As a result, the airline invested heavily on its business class and economy product offerings. 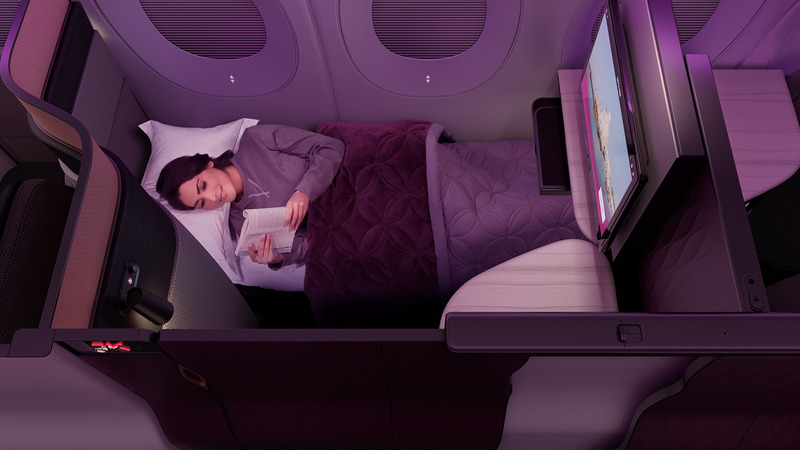 In fact, the 20-year-old airline's investment in its new business-class-on-steroids is indicative of the airline industry's latest trend towards two cabin configurations with first class going the way of the dodo. 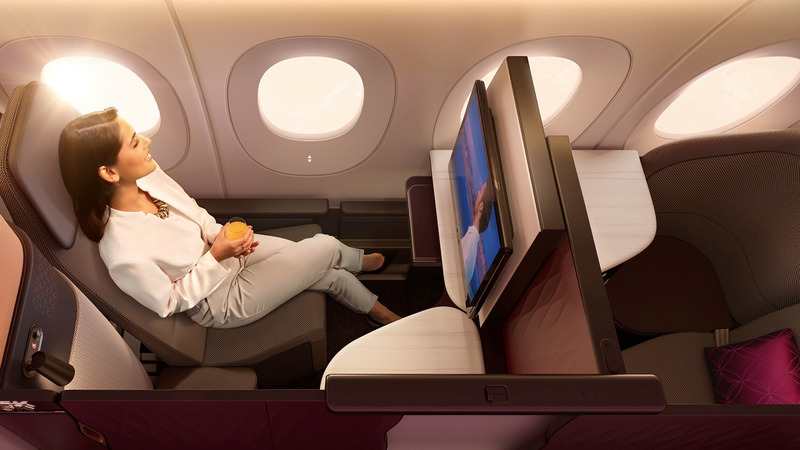 Now, Qatar is back with a business class cabin that's said to be even better. 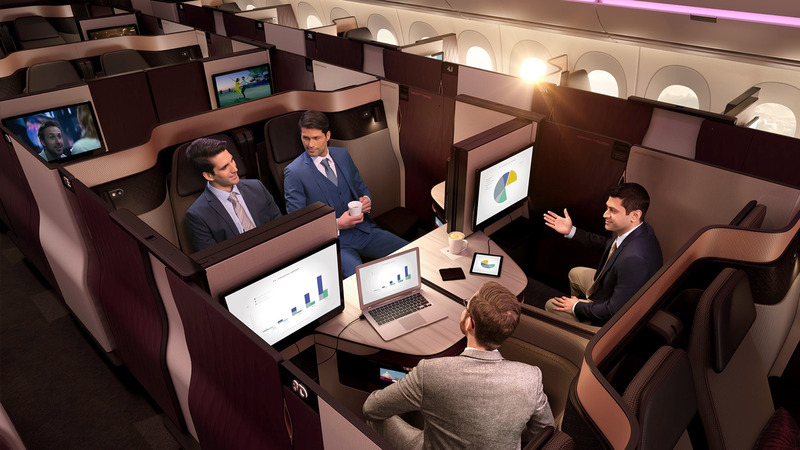 Unlike existing business class offerings, the QSuite is designed not only for individual comfort and convenience but also to thrive in group settings. Even though its individual suites look fairly conventional on the outside, they offer a new level of flexibility and a communal atmosphere unheard of in the era of private premium seating. 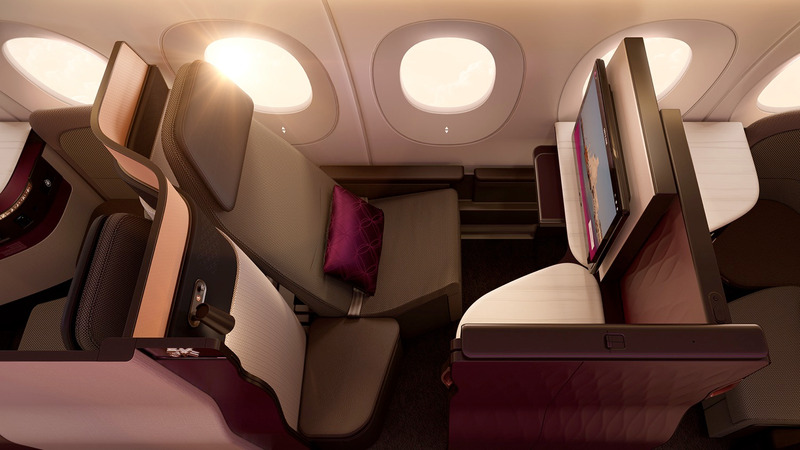 Looking around Qatar Airways' business class cabin, my initial impression is that the QSuite looks pretty run-of-the-mill for a premium international airline. ... Get a good night's sleep in the privacy of their private suites. ... Folds flats to create a comfortable single bed. However, the real beauty of the QSuite system is revealed when all of its adjustable partitions have been retracted. Voila! Communal space. .... Allow families to dine together. ... 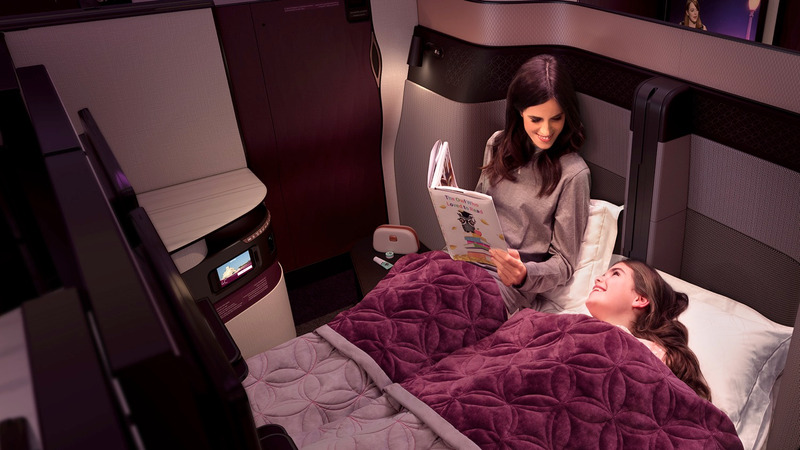 Transformed to create the first ever double bed in business class! 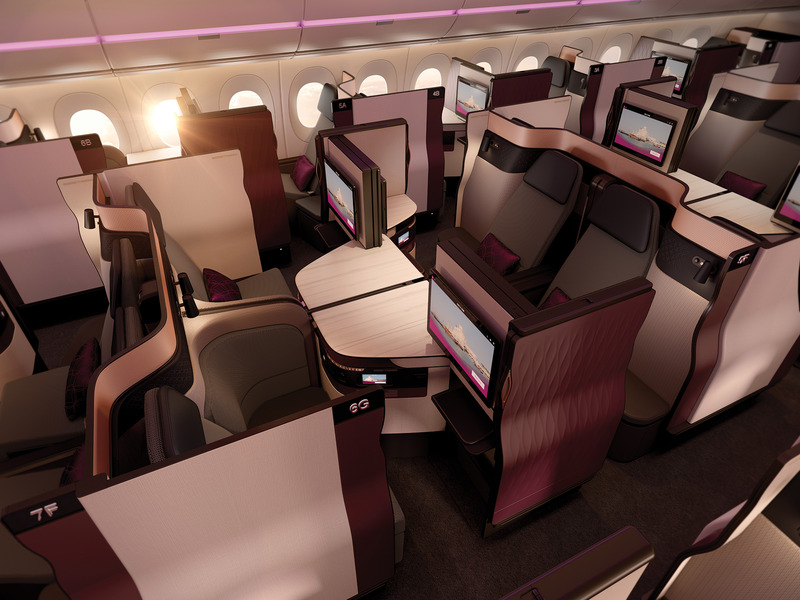 According to the airline, the QSuite will soon become common place across its fleet of 194 Airbus and Boeing jets. In fact, Qatar Airways has another 200 or so planes worth $90 billion on the way over the next few years. 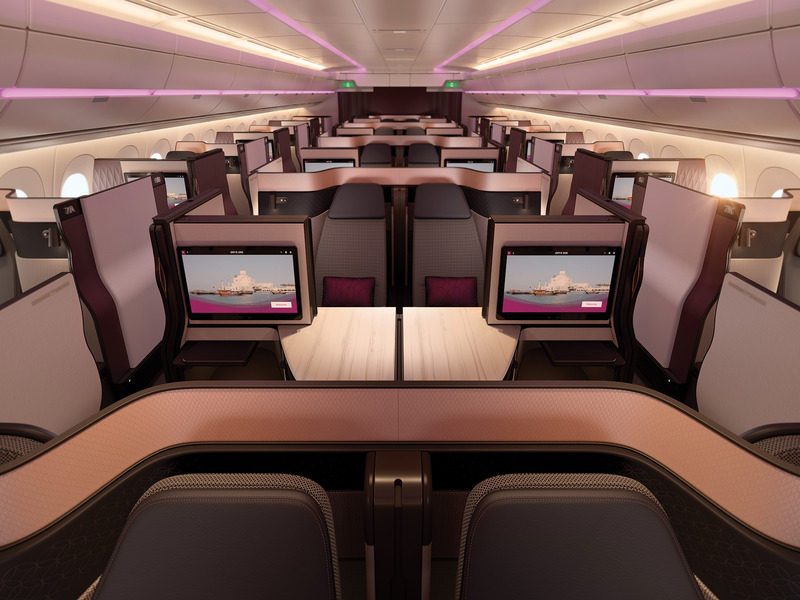 The QSuite will be available on all newly delivered Boeing 777 and Airbus A350 aircraft with existing existing 777s and A350s set to be retrofitted with the seats, Gunter Saurwein, Qatar Airways vice president for the Americas, told Business Insider. 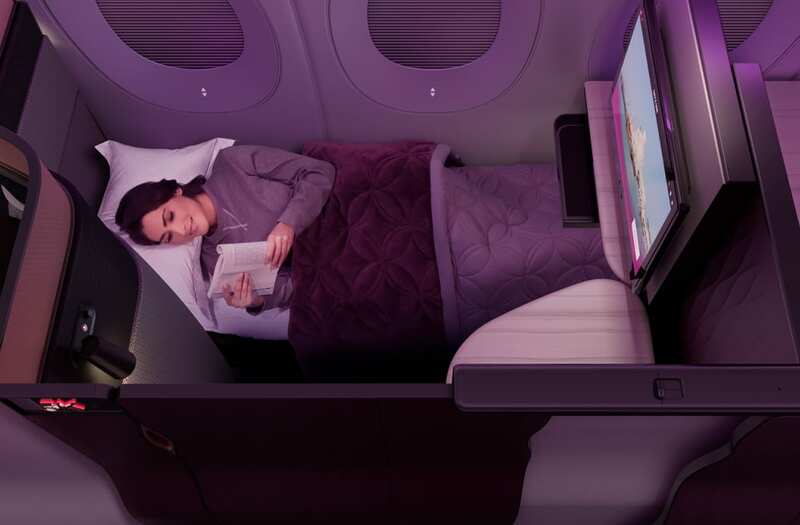 Unfortunately, the QSuite won't available on the airline's fleet of Airbus A380 superjumbos and Boeing 787 Dreamliners due to space constraints. However, they will get a modified version of the suite.